The end of WW2 saw the Dresden-based KW camera company under Soviet control. The Praktica camera was launched in 1949, with the soon-to-be famous M42 lens mount. There followed a succession of SLR cameras of varying quality, that became very popular in the UK. The ageing M42 lens mount was finally abandoned in 1979 with the introduction of the B (presumably for ‘Bayonet’) mount and cameras. 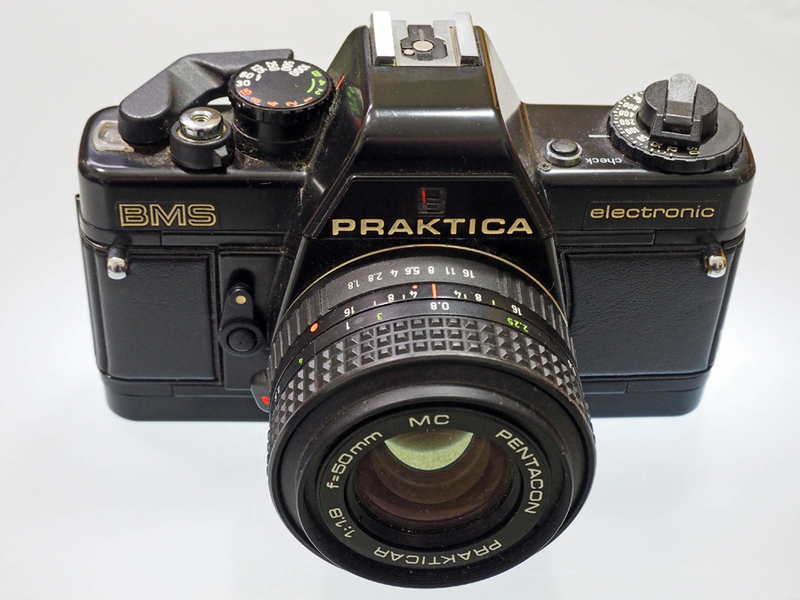 The company entered liquidation in 1990, although another company acquired the Praktica trademark and carried on with the production the the last Praktica SLR camera the BX20. Lens: Interchangeable Parktica B-Mount (Pentacon Prakticar 50mm f/1.8 currently fitted). The B-series cameras were launched in 1989 as the first Prakticas to abandon the M42 mount in favour of a more modern and practical bayonet mount. Production ceased in 1990.